I feel very bad for neglecting this book review as I enjoyed this book in some way and I wanted to tell things about it. It was one heck of a roller coaster ride but I wouldn't say it's going to be one of my all time favorites. It's the first time I read about Etruscan mythology. I didn't have any idea that such mythology existed (sorry) until I read this book. It's awesome that in a time when Roman and Greek (and even Norse) mythology fiction is the trend, something like this was written. It's good that there are still authors who like the idea of introducing new things to readers. 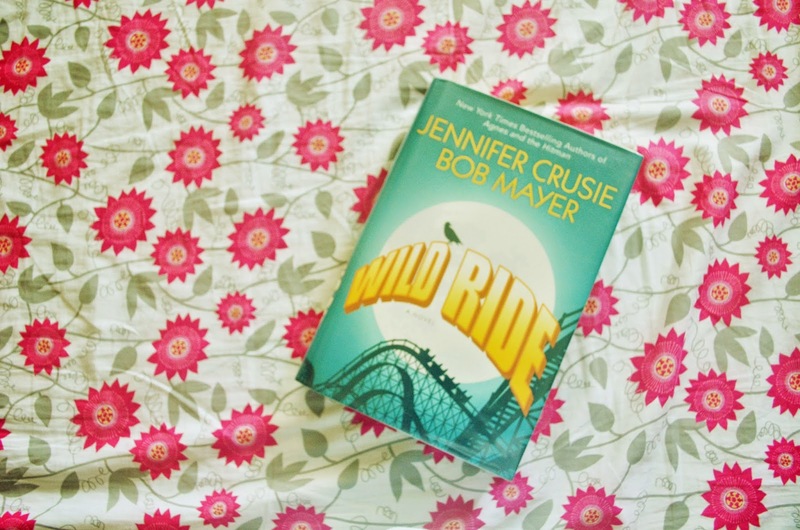 Wild Ride is actually a Non-teen fiction which makes it another first for me. I love fiction and I've had my fair share of non-teen a couple of times but it was never a mix. When my sister told me how awesome this book could be when she picked it up from the book sale, she talked about how the summary said it was in an amusement park setting and that there were demons and falling in love, I wanted to get my hands on this thing as soon as she bought it but I never found that time. I can't believe this thing was stuck in our shelves for almost two years.